« NECAT 40th Anniversary – 1978 Party! 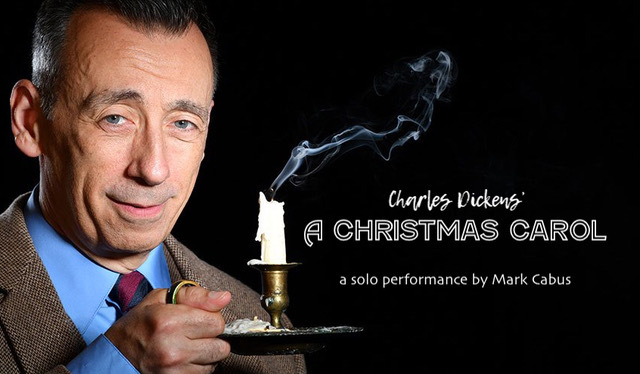 Mark Cabus in his acclaimed one-man stage performance of Charles Dickens’ A Christmas Carol. From Scrooge to Tiny Tim, the veteran actor brings 18 vivid characters to life before your eyes in this classic holiday tale of humanity and redemption performed snugly in the intimate setting of NECAT’s television studio Friday, December 7 and Saturday, December 8, 2018. As a classically-trained actor, director, student, and teaching artist, Cabus has left his indelible mark in England, New York, Atlanta, and countless middle-schools, high-schools, and children’s theaters throughout the southeast. His movie and TV credits range from the 2014 Best Picture nominee Selma to the 1994 John Grisham blockbuster The Client to HBO, CBS, and more. Nashville is very fortunate to have him return home. You are strongly urged to summon the true holiday spirit(s) with us through one man’s talent, heart, and pure imagination. Ticket sales support public television classes at NECAT (and Mark Cabus!!!) and are $30—even more of a delicious bargain since cookies, coffee, and adult beverages are included. Seating is limited—so get your ticket now! A Christmas Carol Trailer (2016) from Mark Cabus on Vimeo.